J. Paul Getty - How Much Is Enough? J. Paul Getty – Just How Much Is Enough? 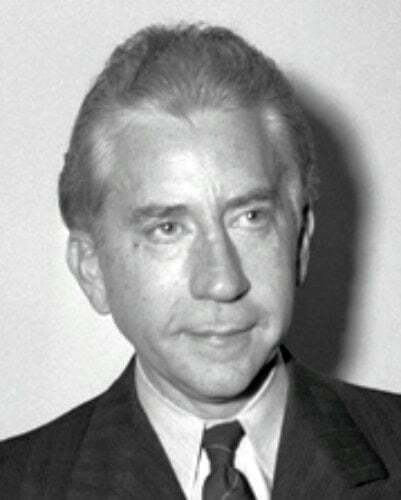 At one point, J. Paul Getty was the richest private citizen in the world. His net worth was ~$25 billion (in today’s dollars) at the time of his death in 1976. J. Paul Getty was famously frugal. No story better exemplifies his frugality than the kidnapping of his grandson. Getty's grandson was kidnapped in 1973. The kidnappers demanded $17 million (which is a bit under $100 million today). Getty did not pay the ransom, suspecting that it was a ruse by his grandson to extort money from him. Around 4 months later - quite a long time to be kidnapped - Getty received a portion of his grandson's ear in the mail and a new ransom demand of $3.2 million (around ~$18 million today). The kidnappers then reduced their demand from $3.2 to $3.0 million. Getty still didn't pay. He would pay no more than $2.2 million (~$12 million today); the maximum amount that was tax deductible at the time. Getty was negotiating with his grandson's life on the line. While the equivalent of ~$18 million today is certainly a lot of money, keep in mind that Getty's fortune was estimated at $25 billion only 3 years later. The ransom demand was likely less than 1/1000 of Getty's net worth at the time. Getty ended up paying the $2.2 million portion of the ransom that was tax deductible, and then loaned the remaining $800,000 of the ransom to his son (at 4% interest) to pay the kidnappers. I believe this story shows J. Paul Getty's priorities. Money appeared to have come first for him. Getty apparently did not have a certain amount of money that was 'enough' for him. For all of us without $25 billion, there's a certain amount of savings we need. The general rule of thumb for calculating this number is 25x the annual amount you will need in retirement. At Sure Dividend, we'd prefer that dividend income (mixed with any other passive income streams) cover the annual amount you will need in retirement. That way, future dividend growth adds an additional buffer - and can help to create inter-generational wealth. When dividend income covers your expected expenses, you are truly financially free. Relying on dividend income rather than selling portions of your portfolio to generate income frees you from the worries of what the market is doing. Even if the market were to experience a 50% decline, it wouldn't make a difference to the secure dividend investor as long as dividend income keeps coming in. In fact, market declines create compelling buying opportunities. We created the Sure Dividend Newsletter to help individual investors easily invest in the best high quality dividend growth stocks trading at fair or better prices. The end goal is to build a dividend growth portfolio for financial freedom. I believe that perhaps J. Paul Getty's biggest mistake was focusing on money itself as an end goal, and not what money provides. More than anything else, having savings and investing them wisely creates financial stability and eventually financial freedom. Focusing only on having a larger net worth with no end in sight puts too great an emphasis on the importance of money. Conversely, not thinking about retirement, investing, or saving at all is a recipe for disaster for your future self. There is a healthy middle ground; understanding why you are saving and investing, and knowing when you have arrived at your goal.